When it comes to weekends; top of my priority list is without fail a lie in followed by a killer workout and mega brunch. I don't manage this routine every week, but I look forward to a Saturday when I can dedicate my AM to such an agenda. 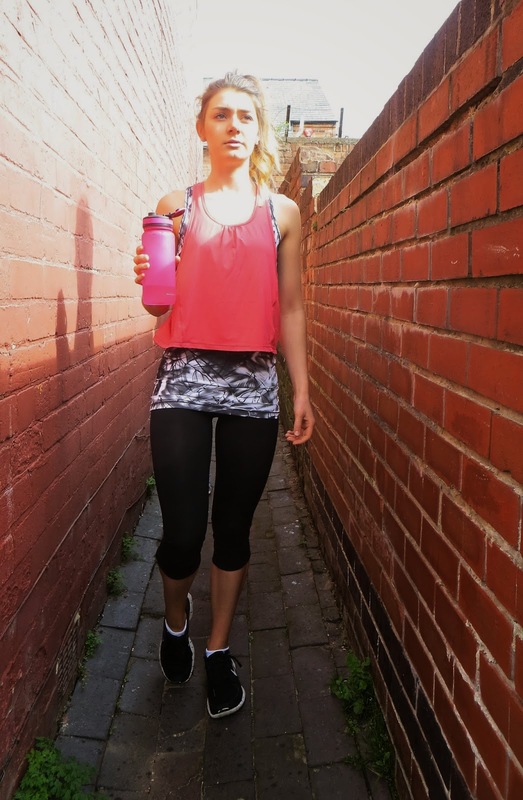 New workout clothes never fail to provide me with the boot out of bed I sometimes need and my new role with Sweaty Betty Notts #TeamSB is occupying and satisfying my love of fitness, fashion and retail amazingly. So here we have it, I thought i'd share some bootcamp style right now. I tend to play it safe with block colour leggings and bright vests, so this look has become a firm favourite. A double layered vest is uber flattering but perfect for getting sweaty. Complete with a back pocket, headphone port, and racer back design it 100% ticks my boxes. Now can I wear this look every day please? Don't forget to follow me on Bloglovin to stay up to date with my posts.